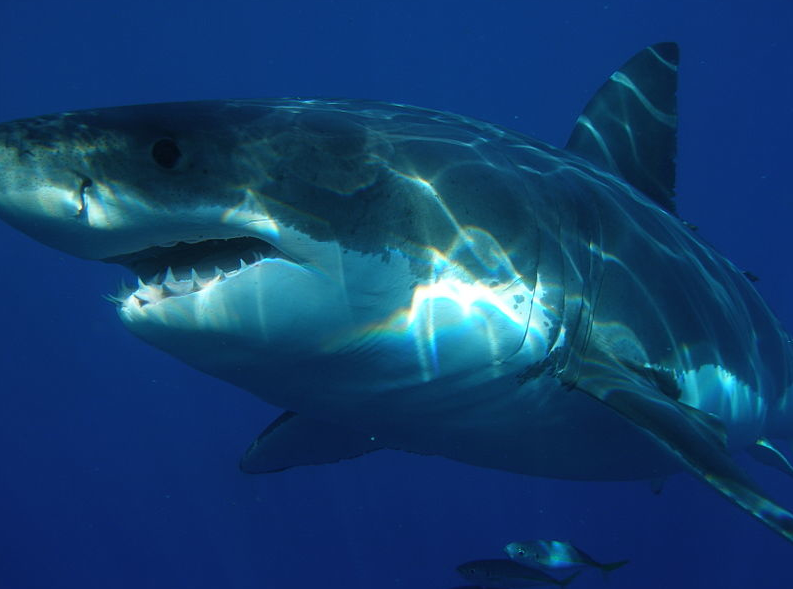 But many fish are not so braggy about their defense mechanism. In fact, some defense mechanism are tastefully understated with camouflage, the ability to change color, or fitting into tiny crevices. Let’s explore different fishy defense mechanisms. A lot of open ocean fish display what is known as countershading, meaning they are darker on top and lighter on the bottom. So for a predator looking up at the fish, they blend in with the lighter/brighter waters of the sun, and for predators looking down on the fish, they appear dark as the sand/immeasurable ocean abyss. This defense is about blending in and going unnoticed in the first place. 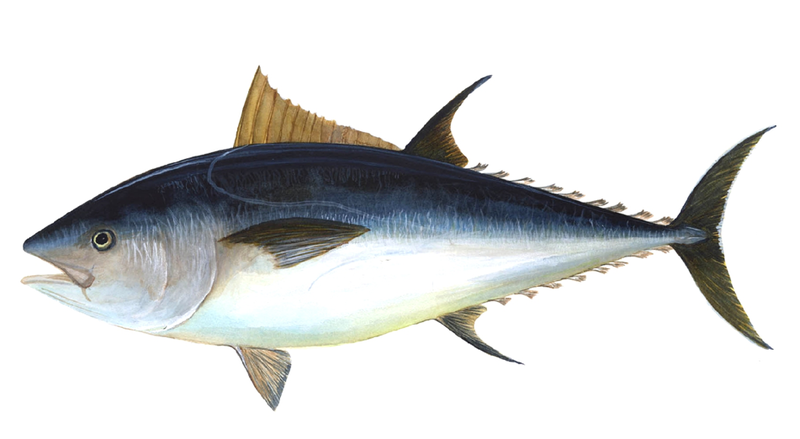 this atlantic blue fin tuna displays countershading. 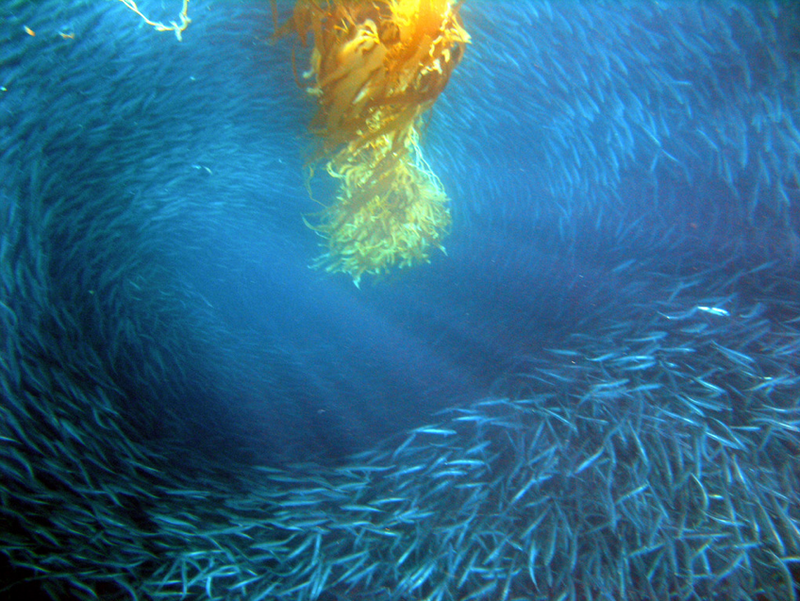 Schooling: many fish travel in schools. It makes sense for multiple reasons. Safety in numbers for starters, because a predator cannot, hopefully, eat all of the fish, and a larger number of fish hanging out together usually means some or most will make it out alive. And because a large school of fish may appear as a large(r) fish than the predator who is scoping out lunch. a school of fish, playing it safe. Other fish hide, in plain sight or in small crevices. 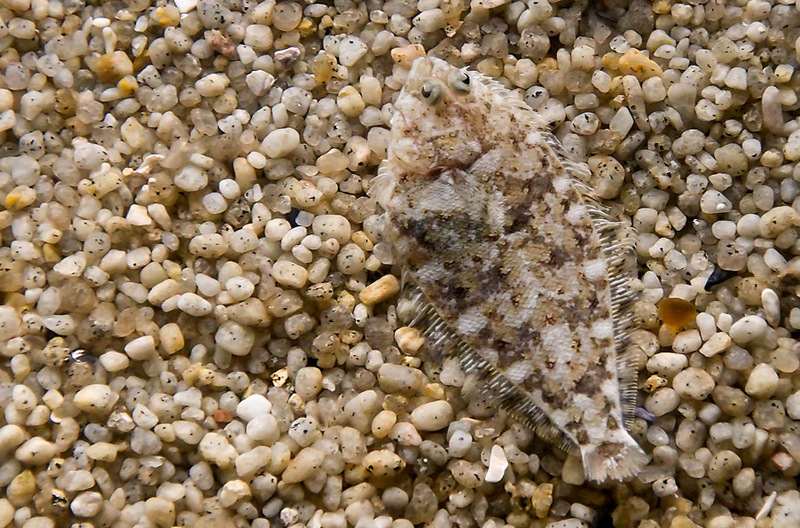 hiding in plain sight: a flounder. 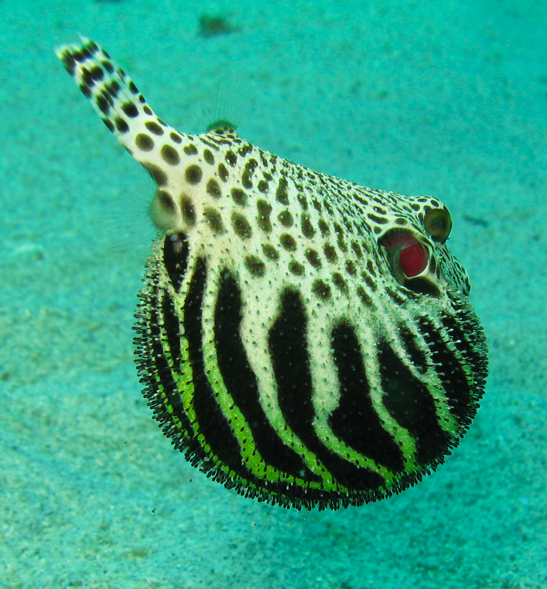 a puffer, displaying his agnomen. 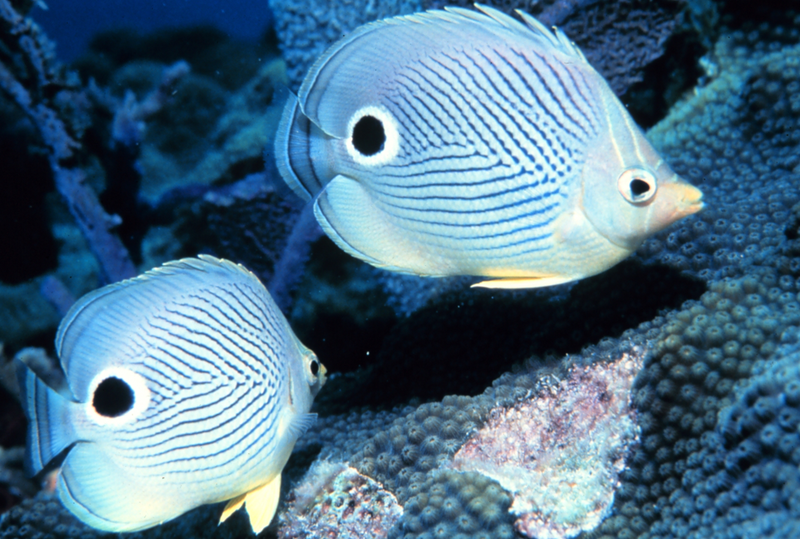 a brightly colored fake out-Foureye Butterflyfish mislead predators with a fake eye near their tail: Since fish flee forward, a predator might face the fake eye head on, giving the butterflyfish a chance to flee in the opposite direction. And then there’s good old fashioned speed–out run your pursuer, and you shall not be eaten. If a fish notices its life is in peril, it must make a decision: fight or flight. If fight is not an option, flight it on out of there. 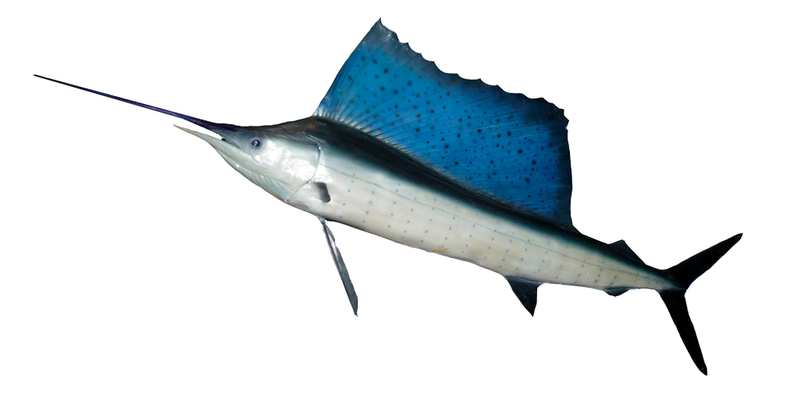 Atlantic Sailfish…the fastest fish in the wilderness (ocean). Clocked up to 75 miles per hour. The cool thing is: the predator/prey relationship is remarkably complicated and ever changing. Evolution is a constant arms race. If the prey develops a new defense mechanism, the predator must develop a new tactic to overcome this advancement. It’s a symbiotic relationship: predators need prey for food, and prey need predators to eat their sick and weak, to keep their numbers balanced, and avoid overpopulation booms.